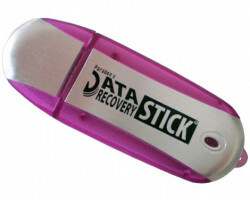 The Data Recovery Stick is the easiest way for anyone to recover deleted files. There's no software to download and install. Simply plug the Data Recovery Stick into a USB port, open the software, and start your recovery. Even if files have been deleted from the recycle bin, you can still recover them as long as they haven't been overwritten by new data. Recovering deleted data doesn't have to be overwhelming. Best of all, you can rest easy knowing Paraben's years of digital forensic expertise will recover your files. Please Note: The storage device you are recovering data from must be a physical drive. Some cameras, such as iPhone cameras, only give logical drive access and images cannot be recovered from such devices. You must also have the proper media reader for some types of storage.